Currently, every defined profile in the mobile application has to be protected by a PIN or a password. This approach is not always convenient and it often does not comply with corporate security policy, which may require more adequate data and application protection. The functionality described here will let the application user decide on the method of securing the entire application and individual profiles. Additionally, this change also enables the administrator to have global control over the process and enforce an appropriate level of application security. The security parameter found in fresh WEBCON BPS installations, or in installations updated to version 2016.1.3, is set to “Defined by user” by default. This value can be changed by an authorized administrator with access to WEBCON BPS Designer Studio. System Configuration -> Global Parameters -> Required level of mobile application protection. The following table contains a brief overview of the specific options. Examples of use can be seen further in the article. Adjustments in the user interface of the mobile application are an important element of this new feature. 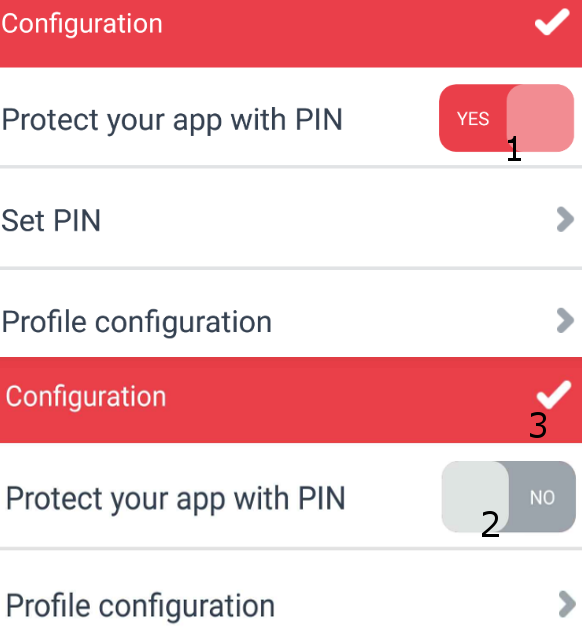 In the configuration menu – for each platform – there is an extra screen divided into the configuration of the application (currently associated with PIN security), and configuration of the profile itself. Fig. 2 – New application settings screen. It is worth mentioning, that securing an application with a PIN can assume various states and behaviors towards different environment setups / user profiles. Several of these combinations are shown in the table below. Possible to change PIN at any given moment. PIN required after resuming the application after prolonged inactivity. Possibility to change PIN at any given moment, regardless of the profile on which the user is logged in. Possibility to set password requirement on every log in attempt on Profile 1. Forced (by the application) to enter the password on every log in attempt on Profile 2. 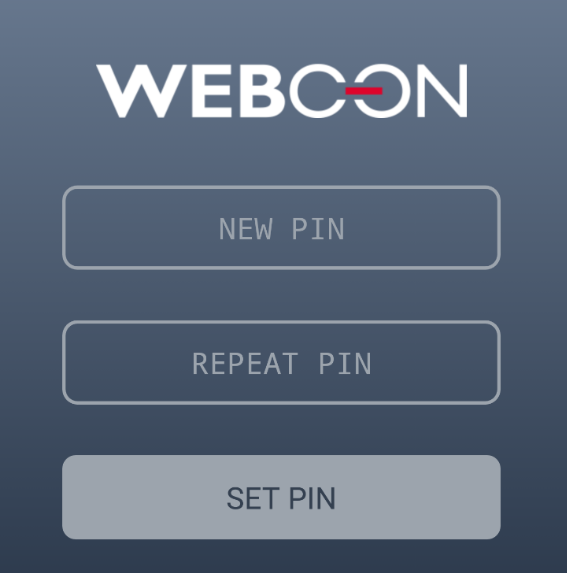 The mobile application has the ability to delete a PIN that was set earlier. This functionality is available only when there is no profile on the device that would have a forced PIN setting. In this case, you need to go into the configuration, uncheck “PIN security” and confirm the configuration. After this, the settings PIN will be cleared.